India Heritage Walk Festival a joint collaboration of Sahapedia and YES Arts & Culture has been awarded the prestigious PETA Gold Award 2018 for its major works on digital archivies endeavours of making India’s heritage more popular and accessible. In 2019 Sahapedia in collaboration with NMDC going to conduct over 80 walks in 35+ different cities across the country, the India Heritage Walk Festival makes us rethink and rediscover the way we interact with and imagine our heritage. On this special occasion a heritage walk was organised by the Sahapedia for the students with special need at Mukteswar temple, Bhubaneswar. 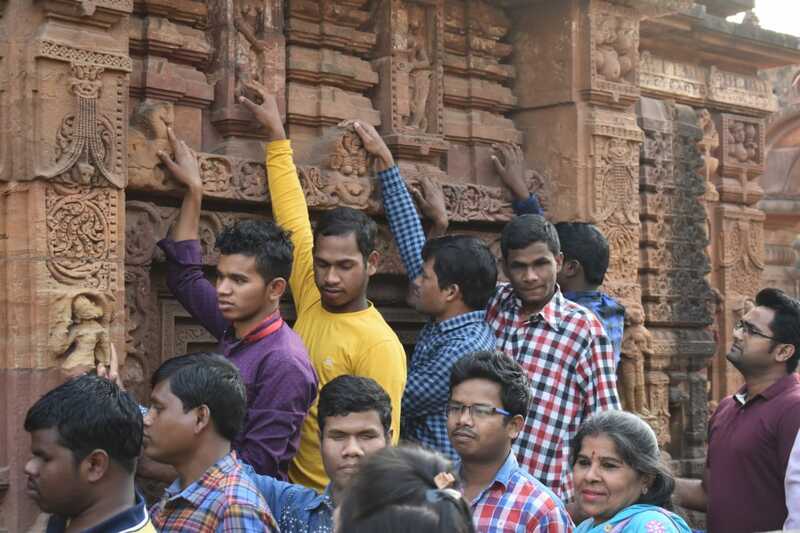 Braille books containing tactile images; historical information, temple architecture, was provided among the students who came from different parts of the Odisha to experience Odisha’s temple architecture. 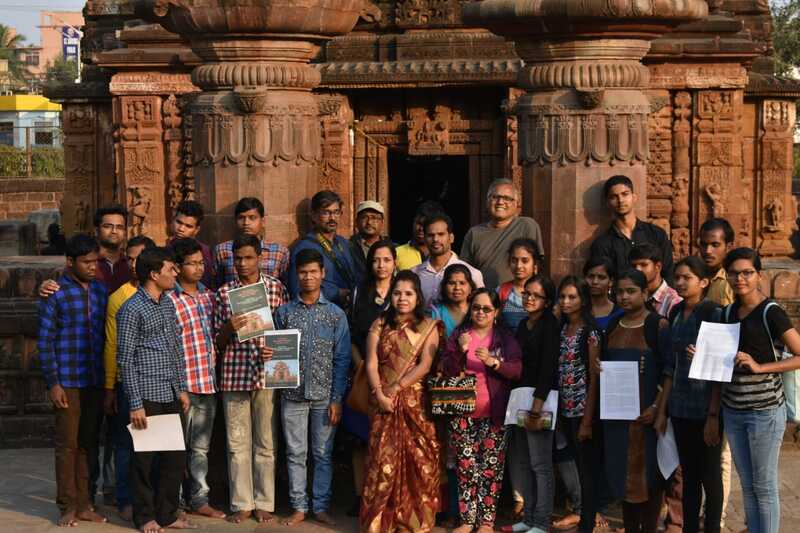 Miss Sareeta Behera (State Consultant for Disability SSEPD-UNICEF, Odisha) appreciated the special heritage walk and promised to continue in the future. Mr. Nituranjan Dash (General Secretary, Centre for Youth and Social Welfare) emphasised on “Touch me once” instead of “Do not touch” tag line which is quietly common in every museums. Through the touch a visual challenged students can understand and experience the universe. This is one of the innovative ways to provide cultural information to the visual challenged students. Shri Jitu Mishra (Renowned Archaeologist) provided valuable insights during the walk and thanked Sahapedia and CYSW Odisha for conducting a special heritage walk. Sharing his thoughts a visually challenged student said “i had read about the Mukteswar temple when i was a student in higher secondary school but i had never imagined how it looks like? As a part of this heritage walk i experienced the art, architecture and cultural history of the Mukteswar temple. ← AIIMS Bhubaneswar hosted their annual event Chiasma 3.0 from 25-29th January : biggest medical college socio cultural festival in eastern india.